So, how about this round? What's my view & opinion? Around mid of Sept 2010, BJTOTO will announce the quarter report, will it declare the attractive dividend to boost up the stock price? From insider action, insider has acquire certain volume since last week. Untill 24 August 2010, no disposed action. 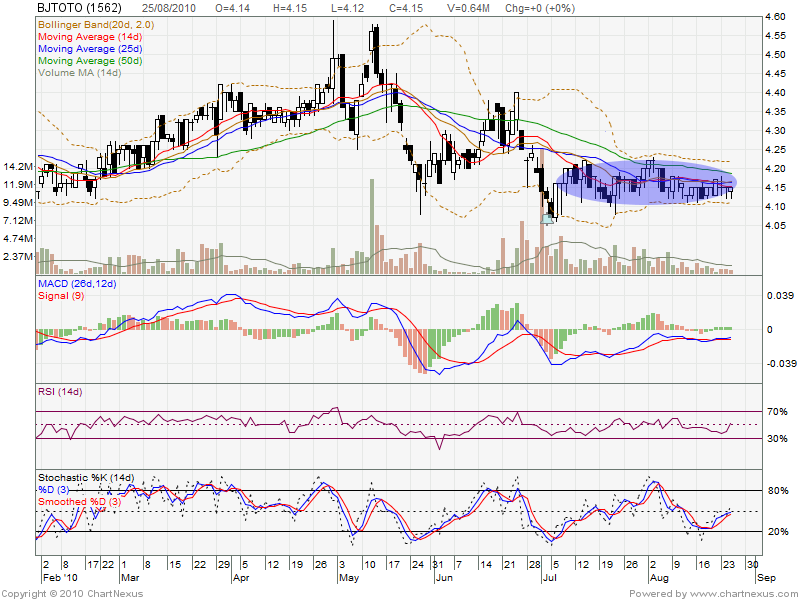 So, more or less, we can suspect it will declare dividend on coming quarter announcement. BTW, we still need to monitor closely coming few days, see is that other insider also acquired the stock OR any major shareholder dispose the stock. 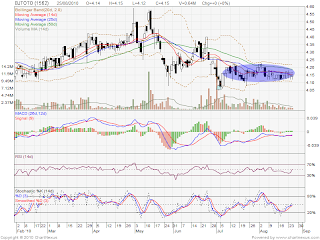 Let watch closely how it perform this few days.